The Nevada Commission gets tough: Canelo could be suspended for a year – can the Mexican star's career ever fully recover? 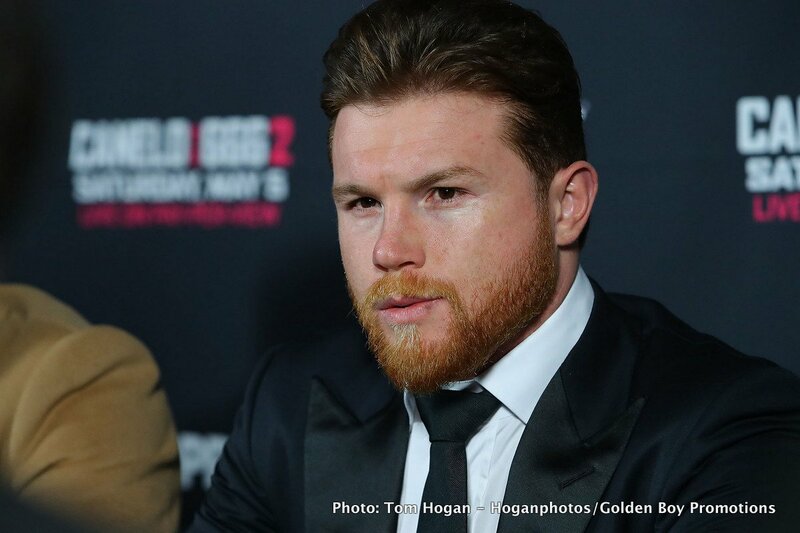 The Nevada Commission gets tough: Canelo could be suspended for a year – can the Mexican star’s career ever fully recover? Purchased tickets for the May 5 rematch between Gennady Golovkin and Canelo Alvarez are currently being returned, the fight in serious, serious jeopardy – in fact almost certain not to happen on May 5. News broke, via ESPN.com, how The Nevada State Athletic Commission this week filed a formal complaint against the Mexican superstar for doping violations. According to Dan Rafael’s piece, it is extremely unlikely Canelo will not now be punished. Canelo can argue his case, on new hearing date April 18, but there is a real chance his current suspension (to April 10) will be extended to six months, maybe even a full year (backdated to the date of the fighter’s first positive test for clenbuterol, which was Feb. 17). With this news, GGG, still in training and still hoping to fight Canelo a second time, is looking for a suitable replacement foe for May 5. If Triple-G does fight, in a title defence and wins, he will tie the world record for most middleweight title fight retentions, at 20. Names like Gary “Spike” O’Sillvan, Demetrius Andrade and even Billy Joe Saunders (who has a rescheduled defence against fellow Brit Martin Murray set for June 23) continue to float around as possible replacement opponents. The big question, however, could be this: can Canelo’s career, his image, ever fully recover. Will the superstar and pay-per-view king (this side of Floyd Mayweather) be remembered as a “cheat” many years from now? When news first broke regarding how Canelo has tested positive for an illegal substance, with Canelo stating how he merely ate some tainted meat, plenty of fans felt he would get a ‘slap on the wrist’ type of punishment and that the May 5 financial blockbuster would still go ahead. Not so. The Nevada Commission has acted in an admirable way and no bias has been shown. The GGG-Canelo rematch may still happen – this September perhaps – but it looks almost certain we won’t see it on Cinco de Mayo weekend. Despite what Floyd says, there seems to be next to no chance of the fight being moved or of it happening on May 5. You are here: Home / Boxing News / The Nevada Commission gets tough: Canelo could be suspended for a year – can the Mexican star’s career ever fully recover?